A valid, signed US passport. The passport must have at least 6 months remaining after the completion of your stay in Egypt. Fully completed and signed For Houston Jurisdiction Egypt Application Houston 2018 For Washington D.C. Jurisdiction Egypt Application for Washington D.C. Fully completed and signed Houston Jurisdiction Egypt Application Houston 2018 For Washington D.C. Jurisdiction Egypt Application for Washington D.C. Your application will be checked and hand carried to the Embassy, and is usually processed in three business days. The Egypt tourist or business visa is issued for a single entry within three months, for stay of up to 30 days. Multiple entries are issued for business travelers on written request. A double entry visa can be issued for tourists on written request, must show copy of itinerary indicating two entries. The visa may be extended, on a monthly basis, by showing receipts for currency exchange at the rate of USD $180.00 per month. 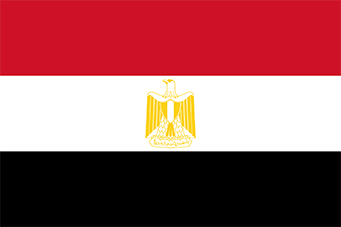 All visitors to Egypt must register with immigration/police within seven days of arrival, or face a fine upon departure. Hotels and tour operators will perform the registration, which is evidenced by a triangular registration stamp in the passport. If registering yourself, register at the Mugamma building in Cairo. It is a very simple process, which usually takes a few minutes at most and is free of charge.